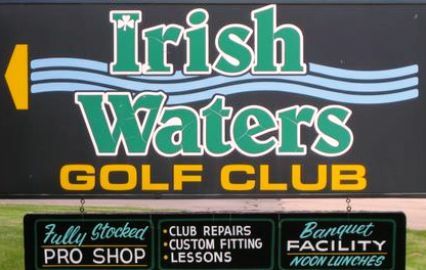 Royal St. Patrick's Golf Course is a semi-private 18-hole golf course located in Wrightstown, Wisconsin, halfway between Appleton and Green Bay. 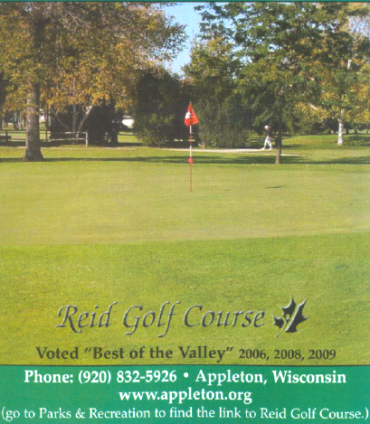 The course opened for play in 2004. The design of the course was done by Rick Robbins. This is a Links style Course. Each hole, was given a unique Scottish name such as Faherie Ahaid and Doon taâ€™ Brae. Each has its own personality and sits within the 500 acres almost independently of the rest. 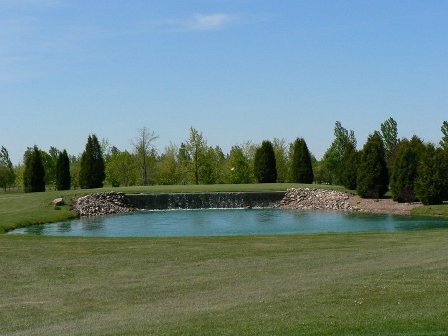 The holes are framed by clear lakes and expanses of wildflowers and native fescue grass. Within each hole are additional features that have been named. Narcutâ€™s Revenge intimidates you on the #5, and the Kingâ€™s Casket is buried in the front left corner of the 9th green. Dragon Tooth and Paulâ€™t Pit gobble up of line shots on the 11th and 12th, while Wallaceâ€™s Arse provides the final obstacle in completing your quest on the 18th. Minimal forced carries, and five sets of tees makes the Golf Links playable for all skill levels. The "Final Four" from the tips are considered by some to be the best finishing holes in the area. # 15 Lang Airn asks for just that, a demanding par 3. # 16 measuring longer than 430 must navigate the corner of Kiorglin Lake. Barley Cove lurks on the risk reward par 5, 17th, and Braveheart the menacing 18th hole is all you could ask for. A par-4, this 465 yard from the tips, is intimidating. Unique...how bout a 19th tee box, fairway and green? 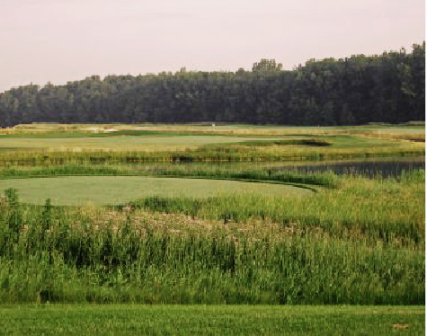 #19, Halfe Pint is used as a bet-settling bonus hole, or perhaps a tune up to your tour of the Links.